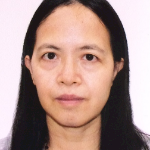 I am a Chinese Language teacher trained in Singapore NIE. I have more than 6 years of experience teaching in primary school. I am from China, living in Singapore for more than 20 years. I am a teacher from mid-career changing, previously working as an engineer. I love teaching and would like to help my student love learning Chinese language and speaking mandarin fluently with confidence. It's my pleasure to teach students not only language but also culture as well as the sharing of my experience. Let's verify whether Li H is available for your class.